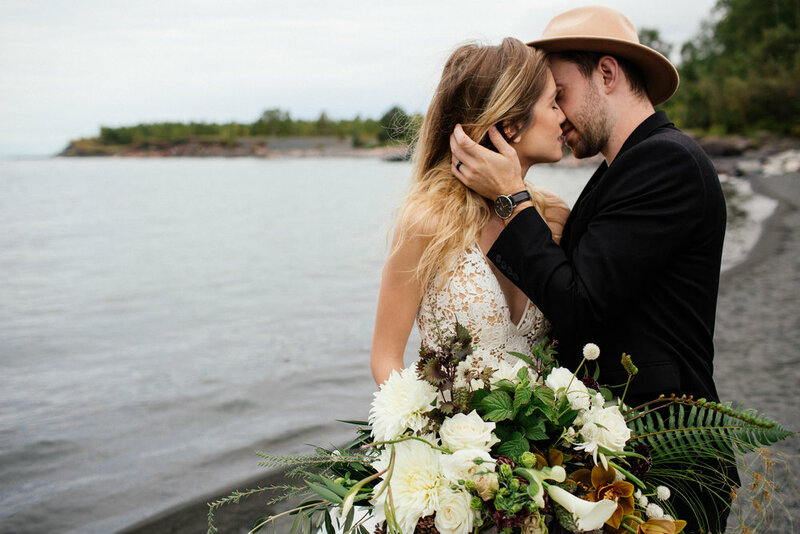 Some couples prefer to get their toes dirty and elope alongside the chilly waters of the North Shore in Duluth Minnesota. They let their vendors have free reign with creativity - for Anya and Slav, that meant dripping bouquets and a romantic candle lit dinner embellished with hues of stunning blues. Meet Anya and Slav - an untraditional couple that has a lust for adventure.